What is the creative process? How does it differ from person to person? And what are the similarities? Can it even be defined? If so, to what end? Taking my own fascination for process and repetition, I thought I'd attempt to answer those questions by simply, asking more questions. Questions on what creativity means to different people from across a wide spectrum of vocations, designed to reveal what the binding elements look like; to extrapolate the gold dust in the glue that holds creative process together. At least, that's the big idea. From designers to artists to chefs to musicians to writers to programmers (and quite possibly anyone in-between) 12 simple questions are posed to see what creativity means to them and to glean insight into how these individuals are inspired, work, and produce their craft. Although thoroughly tempting to dissect the results, as part of my own process I'll be letting the subject's answers speak for themselves. A Q&A. No more, no less. 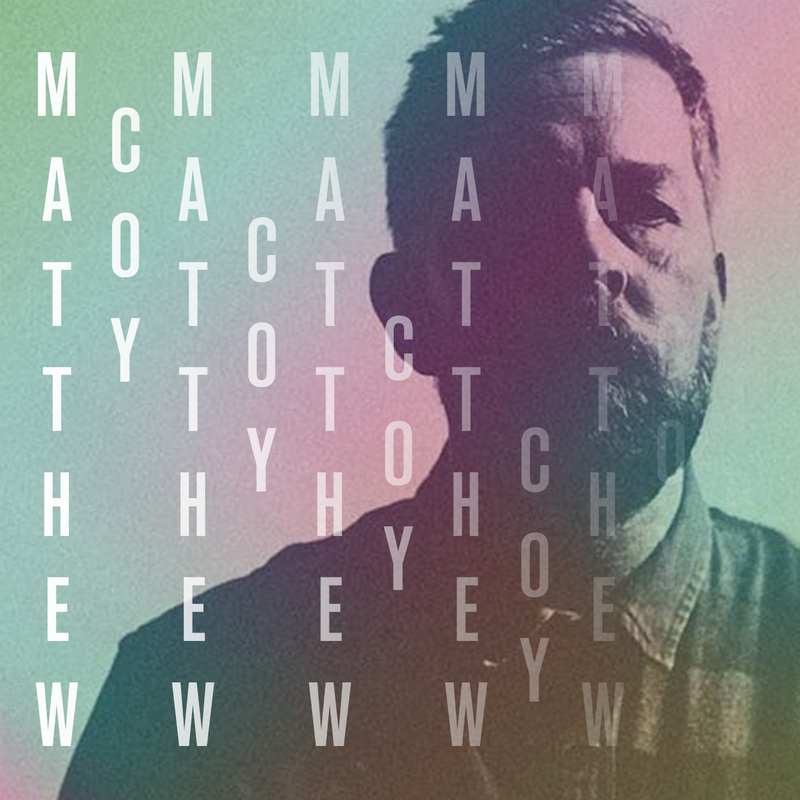 First up in this series: musician, Matthew Coy. For fun: a musician, beat maker, sound designer, synth hobbyist, drummer, DJ, and producer. For a job I teach music technology to children in a pupil referral unit (kids that don't quite fit the mould in a mainstream school setting). What’s your creative process; how do you get stuff done? In my work setting I am very productive, writing various different styles of music (mainly UK drill and trap). This is done by students saying they want to make a song in the style of an artist they like at the time. This creative process is very rapid and usually creates a good soundalike track in half an hour. I use this to wow the students and show them how they can make music they like. A lot of inspiration comes from the students playing the midi control/keyboards badly then me finding the best bits of random sounds and notes that I can loop and turn into a decent track. I may do this process up to eight times a day. I love the idea that people who can’t play any instruments are able to turn these random untrained sounds into something special. Everyone works differently. When did you become aware that your creative process is your own? When I used to drum for many different bands and musicians, each creative process had a different way of working. After a while I tapped into how other musicians work together. I’ve also had the pleasure of working with other electronic musicians whose approaches are totally different to mine. For example, they may start with a beat and build around that, whereas my way of working begins by finding a simple sound or noise and letting that dictate how a composition progresses, with the drums written to the sound and style of the music. I put this down to drumming in a band where an idea or song is presented to me to which I come up with drum patterns and sounds to compliment the vibe. I’m most creative at work because I have to be, even if I'm not feeling creative at the time. The pressure of getting my students to see the value of music makes me want to show them that it can be done. Can you be creative in a vacuum or do you need outside influences to help? I get excited when my missus and daughter say that they’ll be staying a couple of nights at her parents’ house. I have loads of grand ideas of what music I would like to make in this little window of opportunity. But when it comes to them going away and I'm home alone, I lose all creative drive and I’m usually not very inspired. I have too much freedom. On reflection I like the hustle and bustle of my home and I think that is actually what inspires me to write. Alone I tend to procrastinate but working with other musicians makes me focus a lot more and inspires me to better myself. Did you seek being a creative or did creativity find you? I think creativity found me, I've always been creative, whether it’s art, design, photography or music. It’s the only thing that seems ‘normal’ in my life. Do you think your background has had an effect on your creativity? Probably yes. My father is a musician and a retired art teacher, my mum was a keen photographer and we had a darkroom in our house. I grew up going to lots of gigs that my dad would play at - lots of folk festivals. So being around all that has had a positive impact on my life and allowed me to explore different avenues of creativity. Have you ever struggled with creativity? Yeah, usually at the weekend when I've been writing beats at work all week and struggle to focus on my own stuff. In the past, if I've been really busy at work – lots of band practices and gigs, all with different bands over a period of months – I'd usually say that “I've blown a musical gasket”. But I’ve learnt to accept that this happens. And when it does, I don’t try to force any creativity as the results are usually a bit rubbish. It’s after a long period I usually get the feeling that I'm ready to pick up my tools again. For me, the best bit of being creative is not all about the finished product, it’s the joy of the process of starting something new. That’s what keeps me going and that’s why I never finish stuff. Because the initial joy of creating has turned into a different beast. Is there any one person, thought or thing that’s changed the way you think? Bob Ross and YouTube and all the special musicians that I’ve had the pleasure to musically bond with over the years. Do you have one piece of advice for anyone starting out as a creative? Make mistakes. I tell this to my students a lot – that it’s all about making mistakes. So much creativity can come from random mistakes. Do you think creativity has defined you? I believe it has shaped who I am. It’s made me chase my dreams of doing a creative job that about 15 years ago I could never have imagined that I could or would be doing. It's definitely been my goal to be a random knob twiddler/beat maker, although I did dream to be an international superstar. But that didn't happen! At least I'm still making beats for a living and hopefully inspiring less fortunate kids that they too can have fun being creative. What would you like to do if you weren’t doing what you do now? To concentrate on my own music more but this will be an ongoing mission. Failing that, something involving a surf board and snorkel.